Introduced at AWS re:Invent 2017, Amazon GuardDuty is a managed threat detection service that continuously monitors for malicious or unauthorized behavior to help you protect your AWS accounts and workloads. In an AWS Blog post, Jeff Barr shows you how to enable GuardDuty to monitor your AWS resources continuously. That blog post shows how to get started with a single GuardDuty account and provides an overview of the features of the service. Your security team, though, will probably want to use GuardDuty to monitor a group of AWS accounts continuously. In this post, I demonstrate how to use GuardDuty to monitor a group of AWS accounts and have their findings routed to another AWS account—the master account—that is owned by a security team. The method I demonstrate in this post is especially useful if your security team is responsible for monitoring a group of AWS accounts over which it does not have direct access—known as member accounts. In this solution, I simplify the work needed to enable GuardDuty in member accounts and configure findings by simplifying the process, which I do by enabling GuardDuty in the master account and inviting member accounts. To get started, you must enable GuardDuty in the master account, which will receive GuardDuty findings. The master account should be managed by your security team, and it will display the findings from all member accounts. The master account can be reverted later by removing any member accounts you add to it. Adding member accounts is a two-way handshake mechanism to ensure that administrators from both the master and member accounts formally agree to establish the relationship. Navigate to the GuardDuty console. In the navigation pane, choose Accounts. You can add individual accounts by choosing Add Account, or you can add a list of accounts by choosing Upload List (.csv). For security reasons, AWS checks to make sure each account ID is valid and that you’ve entered each member account’s email address that was used to create the account. If a member account’s account ID and email address do not match, GuardDuty does not send an invitation. After you add all the member accounts you want to add, you will see them listed in the Member accounts table with a Status of Invite. You don’t have to individually invite each account—you can choose a group of accounts and when you choose to invite one account in the group, all accounts are invited. AWS checks to make sure the account ID is valid and the email address provided is the email address of the member account. AWS sends an email to the member account email address with a link to the GuardDuty console, where the member account owner can accept the invitation. You can add a customized message from your security team. Account owners who receive the invitation must sign in to their AWS account to accept the invitation. The service also sends an invitation through the AWS Personal Health Dashboard in case the member email address is not monitored. This invitation appears in the member account under the AWS Personal Health Dashboard alert bell on the AWS Management Console. A pending-invitation indicator is shown on the GuardDuty console of the member account, as shown in the following screenshot. When the invitation is sent by email, it is sent to the account owner of the GuardDuty member account. The account owner can click the link in the email invitation or the AWS Personal Health Dashboard message, or the account owner can sign in to their account and navigate to the GuardDuty console. In all cases, the member account displays the pending invitation in the member account’s GuardDuty console with instructions for accepting the invitation. The GuardDuty console walks the account owner through accepting the invitation, including enabling GuardDuty if it is not already enabled. If you prefer to work in the AWS CLI, you can enable GuardDuty and accept the invitation. To do this, call CreateDetector to enable GuardDuty, and then call AcceptInvitation, which serves the same purpose as accepting the invitation in the GuardDuty console. After the member account owner accepts the invitation, the Status in the master account is changed to Monitored. The status helps you track the status of each AWS account that you invite. 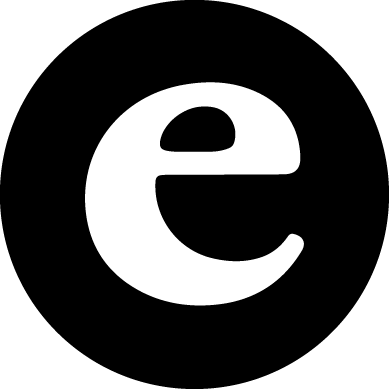 You have enabled GuardDuty on the member account, and all findings will be forwarded to the master account. You can now monitor the findings about GuardDuty member accounts from the GuardDuty console in the master account. 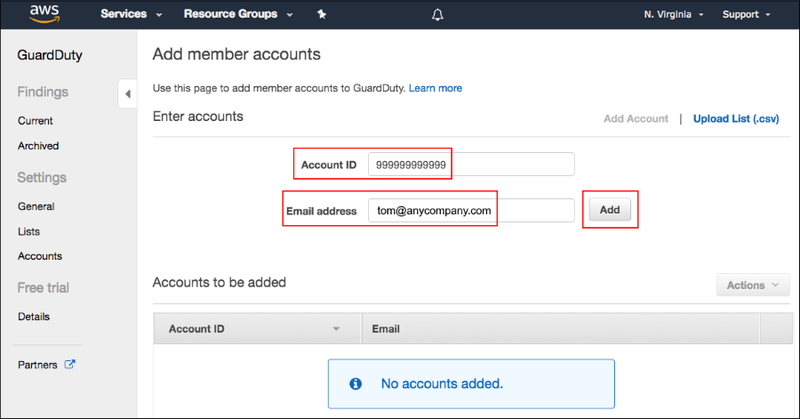 The member account owner can see GuardDuty findings by default and can control all aspects of the experience in the member account with AWS Identity and Access Management (IAM) permissions. Users with the appropriate permissions can end the multi-account relationship at any time by toggling the Accept button on the Accounts page. Note that ending the relationship changes the Status of the account to Resigned and also triggers a security finding on the side of the master account so that the security team knows the member account is no longer linked to the master account. Most security teams have ticketing systems, chat operations, security information event management (SIEM) systems, or other security automation systems to which they would like to push GuardDuty findings. For this purpose, GuardDuty sends all findings as JSON-based messages through Amazon CloudWatch Events, a scalable service to which you can subscribe and to which AWS services can stream system events. To access these events, navigate to the CloudWatch Events console and create a rule that subscribes to the GuardDuty-related findings. You then can assign a target such as Amazon Kinesis Data Firehose that can place the findings in a number of services such as Amazon S3. 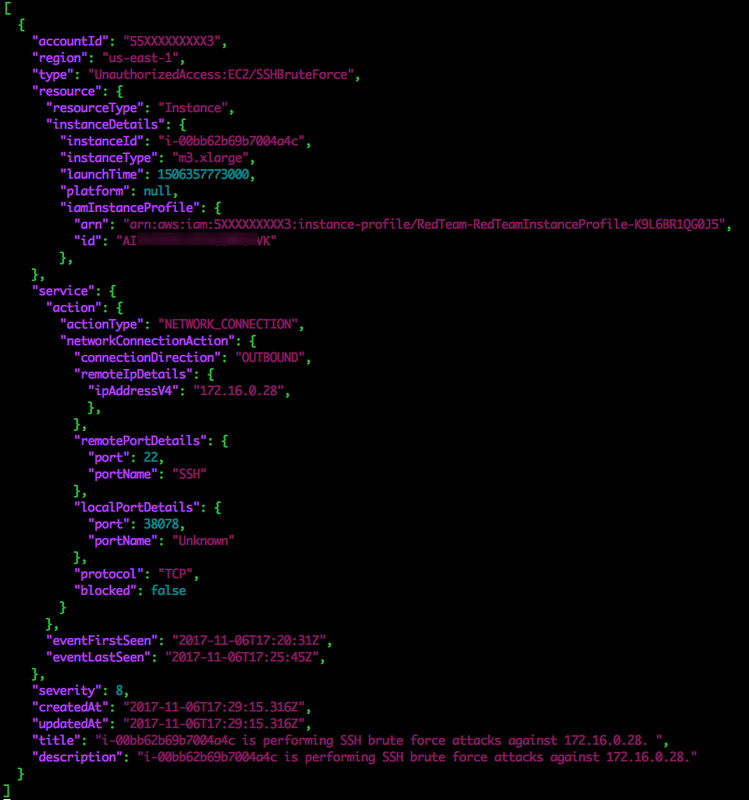 The following screenshot is of the CloudWatch Events console, where I have a rule that pulls all events from GuardDuty and pushes them to a preconfigured AWS Lambda function. The following example is a subset of GuardDuty findings that includes relevant context and information about the nature of a threat that was detected. In this example, the instanceId, i-00bb62b69b7004a4c, is performing Secure Shell (SSH) brute-force attacks against IP address 172.16.0.28. From a Lambda function, you can access any of the following fields such as the title of the finding and its description, and send those directly to your ticketing system. You can use other AWS services to build custom analytics and visualizations of your security findings. For example, you can connect Kinesis Data Firehose to CloudWatch Events and write events to an S3 bucket in a standard format, which can be encrypted with AWS Key Management Service and then compressed. You also can use Amazon QuickSight to build ad hoc dashboards by using AWS Glue and Amazon Athena. Similarly, you can place the data from Kinesis Data Firehose in Amazon Elasticsearch Service, with which you can use tools such as Kibana to build your own visualizations and dashboards. Like most other AWS services, GuardDuty is a regional service. This means that when you enable GuardDuty in an AWS Region, all findings are generated and delivered in that region. If you are regulated by a compliance regime, this is often an important requirement to ensure that security findings remain in a specific jurisdiction. Because customers have let us know they would prefer to be able to enable GuardDuty globally and have all findings aggregated in one place, we intend to give the choice of regional or global isolation as we evolve this new service. In this blog post, I have demonstrated how to use GuardDuty to monitor a group of GuardDuty member accounts and aggregate security findings in a central master GuardDuty account. You can use this solution whether or not you have direct control over the member accounts.